This lovli city is THE place to be at least once a year! 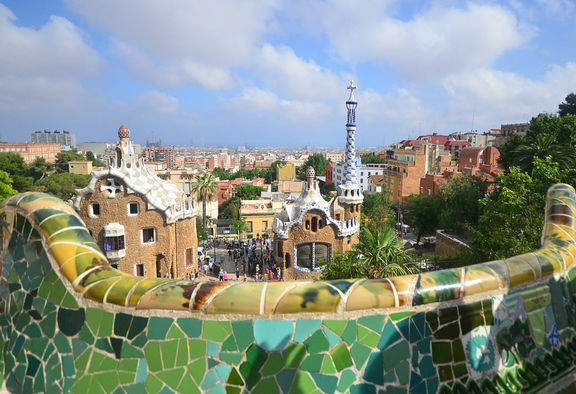 There seems to be hardly any city as vibrant, arty, easy going and fashionable as Barcelona. Step into a wonderland of beautiful sights, people and beaches! Barcelona is a unique mixture of culture, architecture, people and art that simply has to be experienced. No matter if you roam the narrow streets of the old town or the wide ramblas - behind every corner waits a new adventure to be discovered. Munch through the whole range of tasty tapas, enjoy cool Cocktails and Sangria or simply explore the city by bike. Sleep in the comfy beds of the most beautiful and affordable hotels or party through the exciting clubs of Barcelona's nightlife. After a long party night you can relax on one of the easy to reach city beaches or chill at the many roof top pools like Kylie Minogue did - Barcelona will amaze you no matter how you experience it.